Let's face it, in this day and age, we all look for quick fixes, short cuts, and ways to avoid exerting any extra effort. IF we can help it! Right? You operate electronic devices by remote control, order groceries online and get them delivered direct to your door, and use a mobile phone that has more time saving apps than you can shake a stick at. Everything is quicker, faster, better – BUT . . . as a result we all become lazier, more expectant, and entitled. That goes for earning an online income too!!! Which is where the problem arises . . .
Online rogues, fraudsters, and scam artists take extreme advantage of the fact that millions of people are new to the internet and are mislead by greed, impatience and laziness! Seriously. Fraudsters KNOW there’s a HUGE section of people online looking to get rich quick. And because advancements in technology make us lazier in this modern digital age, some people think lazily when it comes to earning an alternative income stream. Fraudsters PREY on that human greed factor. Unsuspecting people mistakenly believe they can earn an income by doing little or no work! That’s right – some people mistakenly think they can ‘get money’ by clicking on ad panels, or doing surveys, or doing online competitions! As far as we’re concerned, such people are better off buying lotto tickets each week, or betting on the gee-gees, or the dogs. The point is – and it’s an IMPORTANT POINT: earning a sustainable income online requires time, effort and energy. It requires investment, but it also requires knowledge, and a level of intelligence. So, if you see a rabid proponent of some ‘get money’ scheme, or ‘get rich quick’ scheme, or ‘passive’ income stream requiring no prior training – put up our SCAM FILTER quick smart. People promoting such schemes are blinded by gullibility, greed, and desperation. They mistakenly promote a Ponzi scheme as the ‘be all and end all’, because they desperately need it to work for themselves – because they’re driven by greed and fervour – which is an exceptionally UGLY side of human nature. Don’t get sucked in by such people and such promotions, because, on the face of it, they APPEAR TO BE professional, convincing, and compelling!!!! But, first . 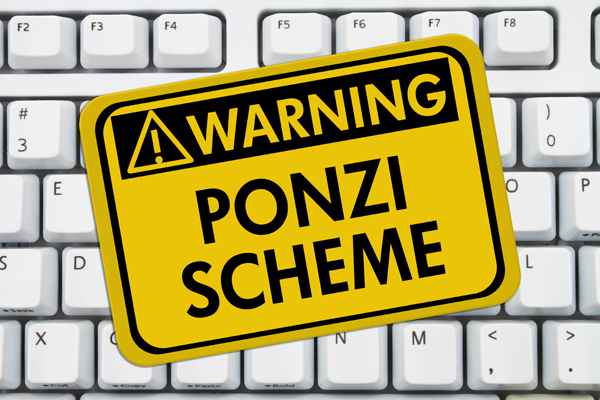 . .
What Is A Ponzi Scheme Exactly? So a Ponzi scheme is one where you pay money in exchange for promised returns, which require no intelligence or training whatsoever to make – so it’s something any numptie can do. BUT, to maximise your so-called returns you need to recruit other gullible, greed based people, and encourage them to invest too so the pyramid is upheld. Early investors may get their money back, but any so-called profits may not be paid out – so look out for people who claim to have their initial investment back. AND . . . spare a thought for the late investors! We've been gullible and greedy by investing in an identical online ad based scheme back in 2012 called Banners Broker where we ‘lost’ $6,000 – but worse still – we caused other innocent people to lose money too! Banners Broker was supposedly an online advertising model and revenue sharing scam that takes each country by storm. The scam works by you buying ads or ad banners to participate in a revenue share of the scheme, and all you have to do is click on ads to create ‘so called' traffic for others who have done like-wise (a trained monkey could do it!!!). It's basically a closed marketing system where people are marketing to other buyers in the scheme by clicking on each others ads. Can you imagine how easy a sell that is – it sounds reputable, right? NO – it's NOT. We’re speaking from first-hand experience and want to protect you from making the same mistake we did. Just for the record, we helped those few people we introduced to Banners Broker to get their money back from their Bank when they paid by credit card – we had some success, but not in every instance. Paying by credit card definitely offered a layer of protection though. We felt extraordinarily idiotic to have fallen for that traffic ad revenue sharing scam, knowing what we know now. Our intention in this post is simply to avoid others make the same mistake we made. We only wish someone had alerted us to this type of scheme before we sunk money into it and it consumed us!!! Our words in this post are HARSH simply to make you SIT UP AND PAY ATTENTION TO OUR ADVICE. So – that’s why we’re sharing this information with you today. This is a doozie. If you see videos made by the scheme founders pleadingly explaining why their scheme is not a scam – pay close attention to what they say, understand the reason why they had to make such video and why they have to use it in their promotion efforts, then run a mile! Having to justify why something isn’t a scam ought to raise alarm bells in itself. With schemes like Traffic Monsoon, you can click on fake ads till the cows come home, to build up a sizeable figure in your so-called profits, but can you withdraw the cash any time you choose??? Huh? Most reputable online business models make payment transfers direct to your bank account (it's how we get paid for our online business), or, at worst, they post you a cheque. If you’re sat watching a video justifying why it’s not straight forward to get your money out – run a mile. You shouldn’t need to faff around with irreputtable third party payment processor companies like Payza and STP (can't remember exactly what the letters STP stand for – you'll know it when you see it) who take weeks to process your transfer plus take a 5-10% commission cut in the process! Research the business model the scheme is touting. If the scheme is all about online advertising or online banner ads, then search Google and see what comes up. Take an hour or two to do this. Go down a myriad of rabbit holes. Don’t just do one search and think you’re finished in 5 minutes. BUT . . . also BEWARE rogue affiliate who diss one system in order to lure people into their alternate honey-trap. It’s a very UNDERHAND way of marketing. So you need to “read between the lines” and understand the TRUE INTENT of the article (is it to accurately review the scheme the article is about, or is it to dupe readers into trusting the writer so they can be lured into the writer's preferred scheme?). All we'll say is: do your due diligence properly – like really dig around – and if you still think it's really possible to make money for no work then only invest the amount you're prepared to lose – and certainly don't go making any plans of quitting your job! If you have to attend local Fundraiser Meetings to enlist your friends and family, then BE VERY WARY. Getting to meet the CEO (Chief Extortionist Online) to get your questions answered is the PRIME WAY to build trust with people and get them to part with their hard-earned reddies! They’ll also be approachable on Facebook and on Skype to be there for EVERYONE – so as to widen the greed net. Ponzi schemes NEED to hold fundraising events to CAPTURE more and more uninformed people in their net. They know when people meet the Founder in person trust happens more quickly. AND – they ‘open up' new countries and new territories when they know they've exhausted the current market. In my Chartered Accounting days I (Fiona) worked on corporate fraud and financial investigations, I've investigated court appointed insolvencies and have worked alongside the Serious Fraud Office in the UK, so I've met many fraudsters – they all outwardly appear pleasant and plausible – but their intentions are very warped indeed. There’s a term in the fraud and financial investigations industry, known as The Phoenix Syndrome – so the phoenix rises up through the ashes of one failed scheme, leaving all the creditors and investors in the dust, only to start a new (similar) Ponzi scheme. Fraudsters have no feeling or remorse for the people they've trodden on, or used, in order to line their own pockets. If you see a long track record of failures – run a mile. We recently saw one rabid proponent of Traffic Monsoon post images on Facebook depicting Traffic Monsoon have a good ranking on Alexa, which is a reputable benchmark website. What you need to understand is Alexa ranking is based on three months of aggregated historical traffic data from Alexa Toolbar users. This can easily be manipulated by having an army of insiders constantly switching their IP address and visiting the site. Also Traffic Monsoon is in the business of fake traffic – so this kind of duping is easily achievable! To say this type of marketing is shallow and hollow, is just the beginning. It preys on the gullible and the greedy, so is actually QUITE DESPICABLE. Unsuspecting people are busy being social on Facebook, snooping on what their friends are up to, watching cheeky videos of puppies, or whatever else is going viral. When they’re unwittingly confronted with a post offering easy passive money for no effort, possibly from someone they think is trustworthy – of course, it’ll push their buttons. Just remember, that’s NOT the way to market a legitimate opportunity, experience, or system! We only hope such Facebook users can sleep soundly at night in the knowledge innocent people will invest on the back of such greed based promotions. And if you want our feedback on any scheme that’s popped up on your radar – please get in touch with us and we’ll talk it through with you. REMEMBER, there is NO silver bullet, get rich quick scheme, or big red button out there on the internet. BUT, there are genuine, legitimate business models which work like crazy WHEN you put in the effort, energy, and investment. Get in touch – ask us more. Is Social Media A Fad And Why Should You Care? Nought there I disagree with. I run a number of Facebook groups and fight to keep these scams outside. Keep on fighting the bad guys. Fully agree with you regarding TM and MAPS plus any other revshare, but curious to know why you suggest Traffic Authority is a Ponzi scheme too? I’ve just become involved in it due to a company I work with linking up with them, so it just landed on my lap the other day. I’ve had a look at it and it’s basically purchased traffic a bit like solo ads. Nothing remotely like the other 2 mentioned. There is an affiliate/MLM option which I have not looked at yet, but was looking to sell their advertising packages which like I said are solo ads. 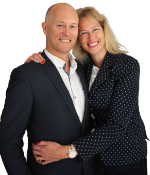 The testimonials are from lots of highly successful networkers, many of whom I know, so did ask them directly and have been assured that the traffic is of a high quality. Hopefully you have more information that can help me. You need to do your due diligence on all such new schemes – type Traffic Authority into Google and see what you come up with. Don’t just scratch the surface but dig deep. And be mindful too that a lot of what you read is written by people wanting to divert you to their schemes – so look out for facts. Particularly facts surrounding the supposed beta company prior to Traffic Authority. With regards solo ads in the internet marketing niche, we don’t rate them at all. It’s the same pool of poor people’s email addresses being sold around the houses. Solo Ads in the internet marketing niche used to work about two years ago, but too many sharks have entered the business with a view to making a quick buck, and no long term outlook. You best bet is to learn how to generate leads yourself – that skill will last you a lifetime. I think the key phrase I got out of the article was do your due diligence I now really research a company, bizop as much as you can. I never got into TM or any other scam site mentioned here Oh lucky me. I did get scammed with CAN. Community Action Network. Not to be confused with ant neighborhood, local community sites Remember CAN anyone?